Geetha Govindam Extended First Week(9 days) Worldwide Collections - Nears 45 Cr Mark ! 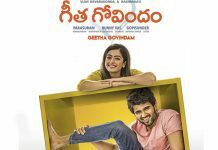 Geetha Govindam Extended First Week(9 days) Worldwide Collections – Nears 45 Cr Mark ! 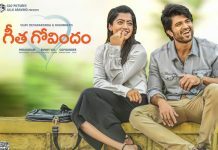 Geetha Govindam has an excellent extended first week with a worldwide distributor share of over 44 Crores. The film has did see fall yesterday ie, on 9th day but that is expected after a rock steady first week and a huge eight day. It was also affected by pre-festivies. The film should do well today also as it is a partial holiday and 50 Cr worldwide mark should be breached by the end of weekend . It will be over taking A aa(48 Cr) in a couple of days to emerge as the highest grosser in Tier Two heros.